Like the stroke of a painter’s brush, our Herbal Body Scrub collection is an inspired creation born from the imagination which has been brought to life on a fresh canvas. 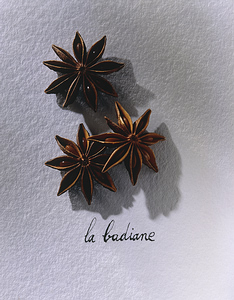 From the essence of La Moutarde Noire (Black Mustard Seed) to La Badiane (Star Anise), we have stuffed this range with an aromatic mix of spices that render a rich tapestry of earthen magic fit to feed your skin. 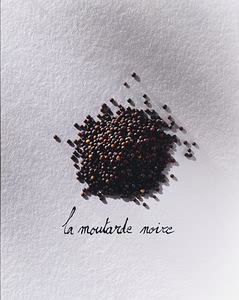 And, who would have thought that Black Mustard Seed would pair so well with our Orgeat Peppermint Sugar Rub? Luckily for you, we did -- and your skin will surely be the richer for it!! Here, our Herbal Body Scrub is served with Black Mustard Seed and sweet note of organic Peppermint. Our Black Mustard Seed Scrub is presented in an 18 oz. recyclable jar. A gratis 8 oz. 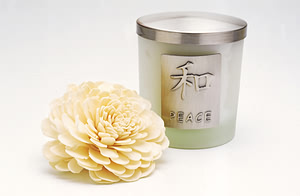 jar of our Spa Butter is included. Here, Star Anise is cocooned in our signature Herbal Body Scrub and imbued with Shea Butter, Argon Oil and vitamins. Star Anise has the distinctive scent of Black Licorice and is a joy forever. Our Anise Herbal Scrub is presented in an 18 oz. recyclable jar. A gratis 8 oz. jar of our Anise Spa Butter is included. Here, crushed leaves of Peppermint are infused in Orgeat syrup (a natural syrup fashioned from organic sugar, almonds and orange-flower water), whilst Shea Butter and Hemp Seed Oil, vitamins and fresh herbs join the dance. This is a beguiling body scrub that will addict you from “go”. Our Orgeat Peppermint Herbal Scrub is presented in an 18 oz. recyclable jar. A gratis 8 oz. jar of our Orgeat Peppermint Spa Butter is included.